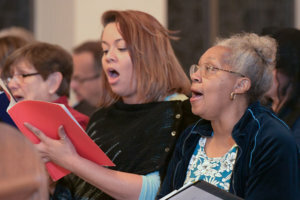 The adult choir consists of 29 members; 19 will travel to Manhattan the day after Thanksgiving for a five-day, four-night stay. Between nine to 10 hours a day will be spent in rehearsal for a work that was written by conductor/composer Joseph Martin, who will also lead the performance. 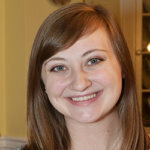 McCurdy, a senior employee relations manager for the Archdiocese of Baltimore, has been involved in the adult choir for 12 years. Matthew Ogden, its director, has been working with the group for about two years. After seeing a YouTube video of the choir singing a cantata composed by Martin, the Distinguished Concerts International New York (DCINY) asked the parish choir to audition for “Rhapsody in Bluegrass,” which it nailed. The adult choir sings traditional music at 10:30 a.m. Sunday Mass; throughout Holy Week; at Christmas Midnight Mass; and at an annual Blue Mass honoring those who serve in fire, police and first responder roles. “Rhapsody in Bluegrass” gives Christmas music a bluegrass treatment; its bluegrass and jazz chords will be a departure for the choir. “It’s going to be an adventure,” said Ogden, while acknowledging that bluegrass is fitting for a choir in Carroll County, known for its agricultural heritage. Father Mark Bialek, pastor of St. John, has been putting an emphasis on discerning new ministries, including music. His community is actively supporting the choir with fundraisers and donations. The Carnegie Hall trip will cost approximately $1,600 per person, according to McCurdy. “If God wants us to go, he’ll make straight the path,” she said. Members described the choir as Christ-centered and spiritual, that they perform not for their own glory, but rather that of the Lord. Gabrielle Gilbert, a senior at Westminster High School who will go into voice performance in college, joined the adult choir in June. Members range in age from 12 to 88, the youngest being AnnaMarie Ward, a seventh-grader at St. John Catholic School, the parish school. 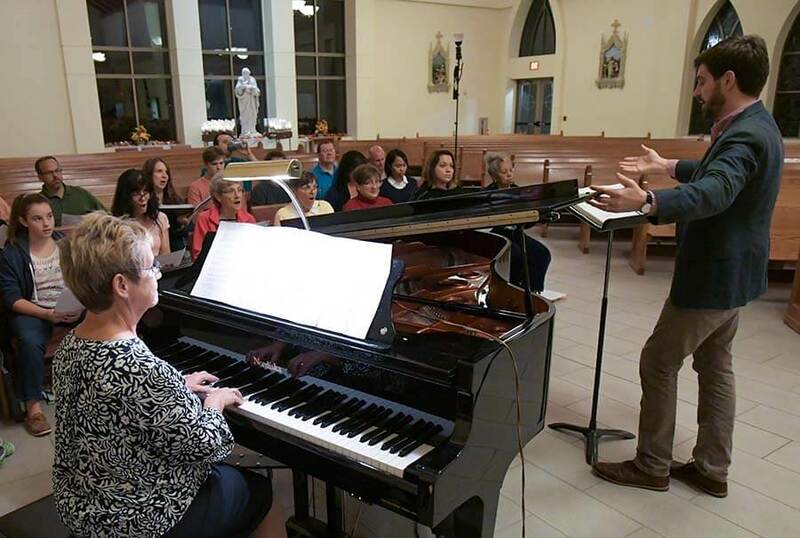 She recalled sitting in a pew as her mother practiced with the choir, until one night another member asked if she would like to sing with them. Marie Rhoads, the 88-year-old, has been singing with the choir for more than 50 years, back to when St. John was at its original location on Main Street in Westminster.